"Western Sydney artists and designers showcase their creative talent in the annual Arts Market. Featuring original paintings and sculptures as well as handmade jewellery, handbags and textiles, the Arts Market is a unique opportunity to see and buy locally made contemporary art and design products. The market, in its fifth year, is part of Blacktown City Council's wider plans to provide ongoing economic opportunities to artists. Blacktown City Council invites potential stallholders to submit applications for a one day outdoors art and craft market. 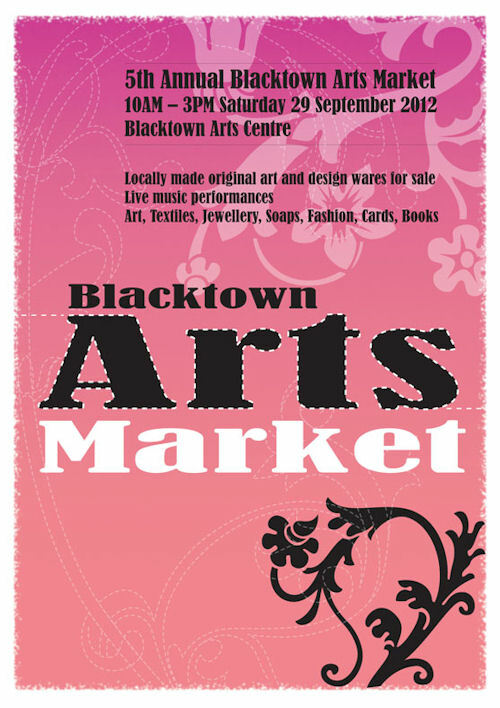 The market will be held in the courtyard of Blacktown Arts Centre on Saturday 29 September 2012 and will coincide with the 2012 Blacktown City Art Prize." Applications for stallholders close 4pm Friday 31 August 2012.